Bring an extra level of security to your business or property with biometric access systems from Keytrak. Unlike cards or fobs which are used for access control systems, biometric access systems provide you with total peace of mind as there is virtually no risk of any unauthorised visitors accessing your premise or restricted areas. With over 30 years’ experience supplying industry leading security products to customers across the UK, you can rely on Keytrak to provide you with high standard systems which provide you with total control over who enters your property. During our 30 years’ industry experience, we have worked with many brands and today we are proud to bring our customers the very best in biometric access control systems, the IEVO Ultimate Biometric Fingerprint Reader for external doors. Designed from the very beginning as a third part reader, the IEVO integrates seamlessly into a number of access control systems to provide users with an optimum level of security. Using multi spectral imaging, the IEVO Ultimate reads fingerprints below the skin and is able to read prints through latex gloves, moisture and even dirt in 1 second. Using an award winning and unique algorithm, the reader is also fully networkable, leaving your data fully secure. Why Choose Our Biometric Access Systems? The IEVO Ultimate reader really is the ultimate in biometric access systems. User friendly, easy to install and offering faultless security and protection due to utilising world leading multi spectrum imaging and an advanced algorithm, your property has never been so secure. 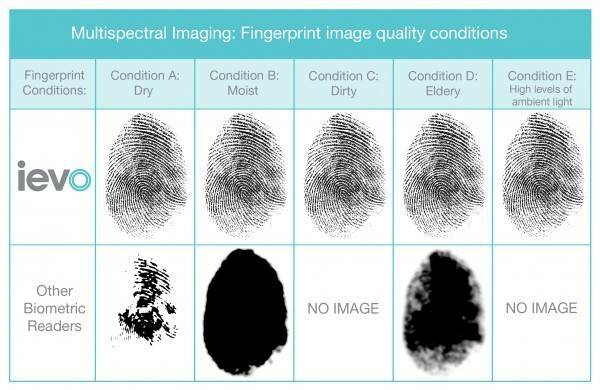 Fingerprints are clear and accurate to ensure that you have complete control over your property or business. 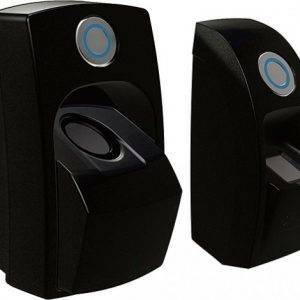 As the biometric access systems are designed for external use, the readers are also able to work in up to -20C conditions, dry or wet conditions, and they can can also read through dirt, hand cream and even latex gloves. The system is also vandal resistant and boasts an unobtrusive design which can either be flush or surface mounted. Our biometric access systems are regularly used in environments such as hospitals and health care centres for restricted access areas, in schools and universities, office blocks, factories and warehouses. 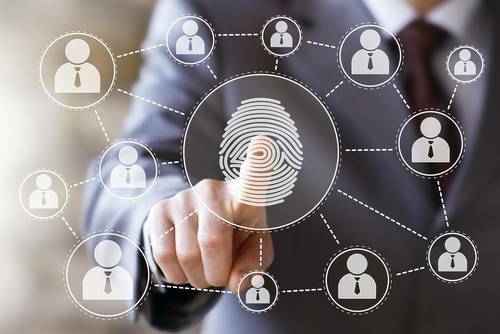 If you are interested in investing in your own biometric access system, please contact us today, a member of our team will be happy to talk you through the complete features of our systems and can also answer any questions that you may have. At Keytrak, we provide innovative and professional solutions which help to protect your business, property, and personnel.